A situation is rapidly developing that may eventually wind up getting filed under “more trouble than it’s worth.” You can help yourself by making sure that you don’t kick the nests of stinging insects, open jars of chemicals where you’re not sure what they contain, or invoke forces that you don’t understand. 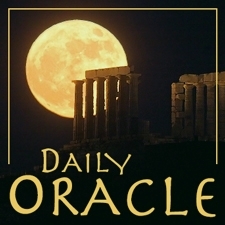 Today’s Oracle takes us to the Taurus weekly for Jan. 6, 2006. A situation is rapidly developing that may eventually wind up getting filed under “more trouble than it’s worth.” You can help yourself by making sure that you don’t kick the nests of stinging insects, open jars of chemicals where you’re not sure what they contain, or invoke forces that you don’t understand. Still, a particularly sexual situation pertaining to a past involvement may be more alluring than you can stand to resist, in which case you need to enjoy whatever happens the very best you can and take a “come what may” approach.